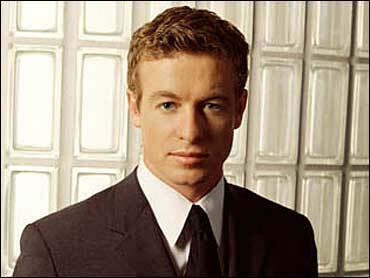 Hollywood is a long way from "Down Under" for actor Simon Baker. The actor was born in Tasmania, moved to New Guinea as a child and settled in Sydney, Australia, as a television heartthrob. After some years in Los Angeles and a couple of movie roles, Baker took the identity of CBS' "The Guardian." He visited The Early Show to discuss his role on the successful television show. The CBS drama revolves around a hot-shot attorney who is sentenced to represent needy children after he is arrested for using cocaine. While closing lucrative deals at his high-powered law firm, Nick Fallin (Baker) also must perform community service or risk being disbarred. That's why he straddles two vastly different legal worlds. As a teen, Baker was a competitive surfer and water polo player, but he eventually drifted before the cameras with appearances in music videos. His first notable role was opposite his real-life wife, actress Rebecca Riggs, in the Australian serial "E Street." Baker and Riggs decided to try their luck in America, and almost immediately, Baker landed a supporting role in a CBS pilot, "The Last Best Place." Soon, he was being cast in movies, such as Ang Lee's "Ride With The Devil," "Sunset Strip," and "Red Planet." Had regular role as the on- screen love interest to his off-screen companion and future wife (Rebecca Rigg) on the Australia serial "E Street"
1995-1996: Breakthrough screen role in the Australian TV series "Heartbreak High"
1996: Played featured role in the unsold CBS pilot "The Last Best Place"
1997: Had prominent supporting role as a gay actor being blackmailed in "L.A. Confidential"
1998: Cast as a egocentric actor and rival of Adrien Brody in "Restaurant"
2000: Cast as a photographer of album covers in "Sunset Strip"